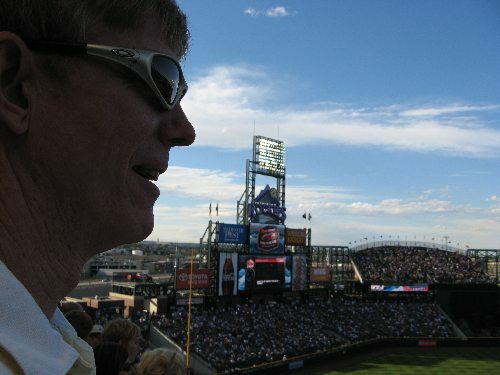 Today’s post is by my husband Kurt Fristrup, who is a lifelong San Francisco Giants fan. The Giants’ pennant win inspired him to share his observations about the team. The San Francisco Giants won last night, and are going to the World Series! I left the San Francisco Bay Area in 1972, but I have remained a San Francisco Giants fan for more than 50 years. I don’t clearly remember the year Willie McCovey broke in (1959), but I do remember how the Giants struggled to field a lineup with two first baseman. Orlando Cepeda and McCovey gave the Giants back-to-back Rookies of the Year in 1958 and 1959. The first Giants teams I remember had the incomparable Willie Mays and loads of young power hitters. In 1962 they won a thrilling three game playoff against the Dodgers in Chavez Ravine when Larry Burright made a critical error in the ninth inning, allowing the Giants to come back from 4-2 to win 6-4 (like Brooks Conrad in this year’s series with Atlanta). The 1962 World Series still glows in my memory. That Yankees team was legendary: Mickey Mantle, Roger Maris, Bobby Richardson, Tom Tresh, Elston Howard, Ralph Terry (AL All-Stars that year), Yogi Berra and Whitey Ford (great baseball names). A rookie pitcher named Jim Bouton was on that team, who is best known for “Ball Four,” a book that commissioner Bowie Kuhn called “detrimental to baseball.” The Giants were a good match for that great Yankees team. Mays, Cepeda, Felipe Alou, Jimmy Davenport (3b, my grandmother’s favorite player), and a young Juan Marichal were NL All Stars that year. Alou, Cepeda, Mays, McCovey, and a young catcher named Tom Haller all slugged over .500. A switch hitting pitcher named Billy O’Dell had his career year in 1962, as did Jack Sanford. Sanford was a bit chunky, and during that season my Dad and I would groan when he got a hit: his pitching often fell apart in the following inning. I remember schoolyard arguments over who was better, Willie Mays or Mickey Mantle (probably Mantle at his peak, and Mays for his career), Clete Boyer or Jimmy Davenport (I’m sticking with Davenport, Grandma). The Giants lost the series when McCovey ripped a line drive with men on 2nd and 3rd with two out in the ninth inning of Game 7. 2B Bobby Richardson snagged the drive for the final out. The Giants also made the World Series in 1989, a series that is better remembered for an earthquake than baseball. Will “The Thrill” Clark was the Giants best player, Kevin Mitchell had his career year. The rotation was anchored by 40-year old Rick Reuschel (also a bit chunky), a good hitting pitcher named Don Robinson, and a career year by Scott Garrelts. The Giants were swept by the Oakland A’s, outscored 32-14. The Giants lost another seven game World Series in 2002, against the Anaheim Angels. Barry Bonds and Jeff Kent were the Giant’s star hitters; Jason Schmidt and Russ Ortiz the star pitchers. The Giants were 8 outs away from winning this series in Game 6, but went on to lose. The Giants beat the Philadelphia Phillies last night 3-2, to advance to the World Series. Six of their seven postseason wins have been by one run. They have one position player who has ever been to an All Star Game (Edgar Renteria, when he played for Florida, St. Louis, and Atlanta). Their highest salaried player (Barry Zito: $18.5M) has not been on the postseason roster. A staggering $50M of their team salary of $98M is spent on players who are bit players in the postseason. This does not count former catcher Bengie Molina’s $4.5M salary, which the Giant’s invested because their General Manager claimed no one thought Buster Posey was ready to catch 100 games in the majors (Posey hit .305, with 23 doubles, 2 triples, 18 home runs, and 30 walks in 406 at bats; he played 76 games at catcher and 30 games at 1b, a position he had not played previously). Aside from Buster, the three best position players on the Giants were all drafted in 1998, and have very different career paths. Who were the outstanding Giants this year? 1. Pat “The Bat” Burrell was the #1 overall pick in this draft, and he he started for the Phillies from 2000-2008 (including their World Series win over Tampa Bay in 2008). “The Bat” tells you how highly Burrell’s fielding is regarded, and Phillies fans took a while to warm up to him because he was perceived as an arrogant jerk who partied visibly and hard in Philly. Pat joined Tampa Bay as a free agent in 2009, and played so poorly over a year and a quarter that the Devil Rays outright released him in May. The Giants signed Burrell to a minor league contract in late May, and played him at AAA for a few games to see what he had left. Burrell hit .266 with 16 doubles, 18 home runs, and 47 walks in 341 at bats for the Giants this season. 2. Aubrey Huff was signed to a one year contract by the Giants this season, after a prolonged effort to sign Adam LaRoche instead. “Huff Daddy” was drafted in the 5th round of the 1998 draft, and amassed 5444 at bats with five different teams before signing a one-year contract with the Giants this season. In his 10 previous years in the majors, Huff’s teams never made it to the postseason. The Giants’ Plan B worked out well, as Huff hit .290 with 35 doubles, 5 triples, 26 home runs, and 83 walks in 668 at bats. Huff did a great job defensively at 1b, and played many credible games in left and right field when needed. 3. Andres Torres was the most unlikely hero. Torres was drafted in the 4th round in 1998 (by Detroit). Torres endured eleven years kicking around the minors with four different organizations, getting a total of 257 at bats in the majors before he joined the Giants in 2009. Since joining the Giants, Torres has been outstanding. This year he hit .268 with 43 doubles, 8 triples, 16 home runs, and 56 walks in 570 at bats. His numbers took a hit when his appendix had to be removed in September, but he was back in the field in ten days. Torres plays outstanding defense in center field. Fangraphs.com has monetary estimates of each player’s value to their team. Torres leads all Giants with $23.9M (the 14th highest figure in all of baseball). His salary was a major league minimum: $426K. The Giants will be underdogs in the World Series, because Texas has much better hitters. I will enjoy the games regardless of outcomes. This team exceeded all expectations this year, and may have another surprise to deliver. In 1954, the year I was born, a young Willie Mays led the NY Giants to a four game sweep of the Cleveland Indians. They moved to SF in 1958, and I was hanging on every pitch in 1962. I am still waiting and watching. East Meets West: It’s Done!